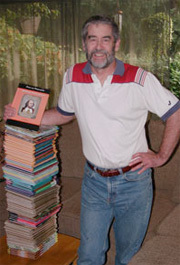 Author Jim Whiting and his books that are currently in print. Jim Whiting ’65 is the author of “Yo-Yo Ma: A Biography,” a nonfiction book about the man considered to be the world’s best-known cellist. 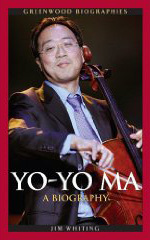 “Fifteen Grammy awards and scores of best-selling recordings attest to Yo-Yo Ma’s professional success,” Whiting wrote in the introduction to the book.